33 Tehama is a transformative project in the South of Market neighborhood of San Francisco. This luxury high rise apartment project has designed to be all of San Francisco in One Address. The location puts residents just minutes from all that San Francisco is known for. The 80 and 101 freeways are steps away from the garage. It is a remarkable project with landmark views and exposure. Harding was approached to create the most innovative valet parking system that has ever been attempted in San Francisco. The footprint of the project is incredibly tight and parking was a premium. Traditional ramped surface parking would not have produced enough stalls for the tenant base, many of whom still rely on vehicles for daily trips to Silicon Valley and the East Bay. 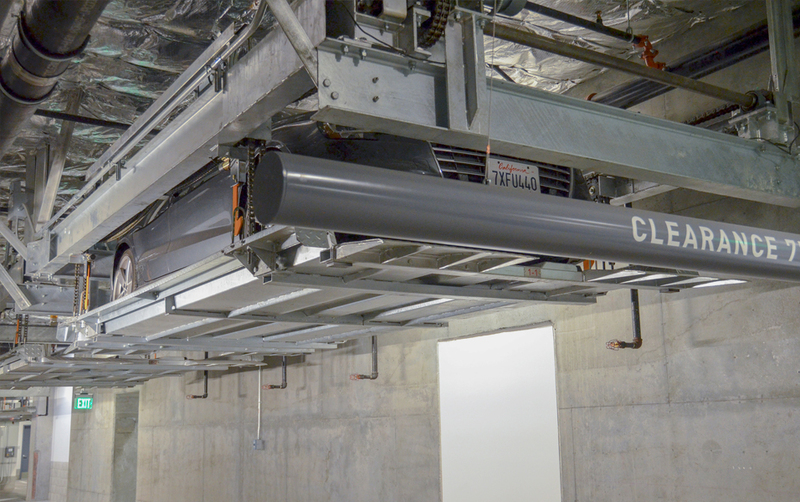 The CARLOFT system from Harding Steel was incorporated to be suspended from the parking slabs to create more useable parking places. 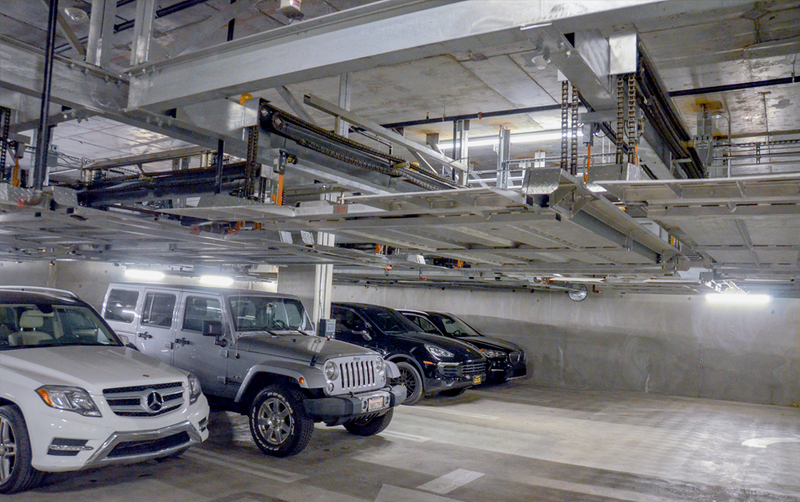 This is the first fully suspended parking system that utilizes a series of embeds cast into the concrete slabs above. No additional structural steel was required from the building to facilitate this system. The concept is to have platforms that in the raised position are seven feet above the drive surface. This allows Harding to suspend platforms not only over regular parking spaces, but the drive aisles as well. 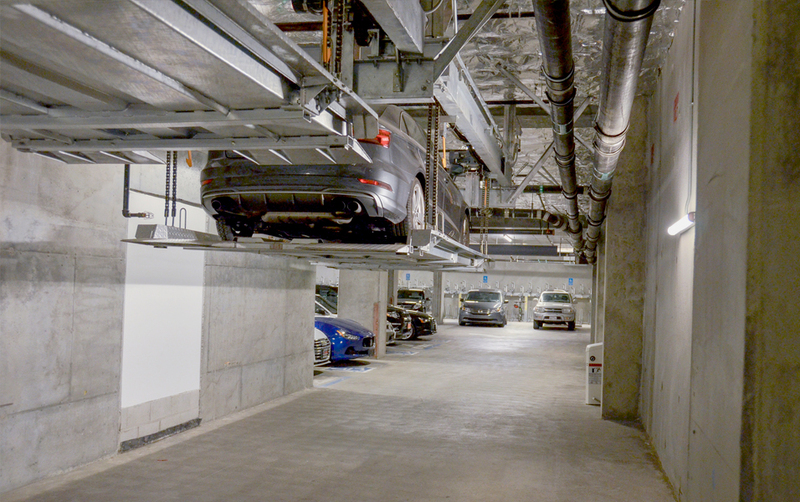 This truly innovative approach to traditional stacked valet parking allowed this project to free up valuable space to go vertical. Contact Harding Steel today for a valet parking system design consultation.